Japanese streetwear pioneers, A Bathing Ape’s more affordable sub-line AAPE is stepping up their collaboration resume with their latest venture. 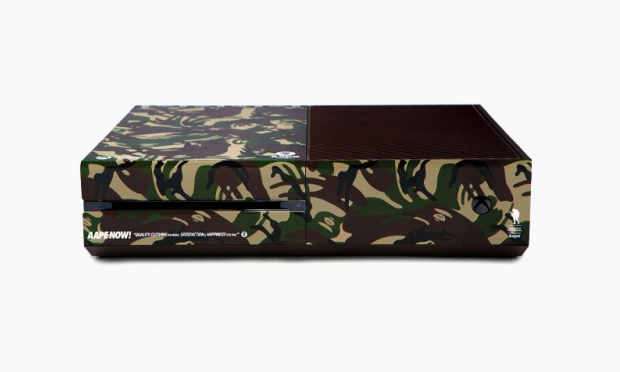 Sometime this month, the brand will be joining forces with Microsoft for a special limited edition version of the XBOX One, utilizing their signature camouflage print on the system and controller. Along with the custom system, the bundle pack also includes an AAPE & XBOX One tote bag and t-shirt. Were not sure on the official release date of the limited edition AAPE By A Bathing Ape, but keep your eyes open over at the Bape online shop. Check out images above.